Every blogger wants to make money from their blog and the make money from Adsense is the best and popular way among all of us.In this post I'm going to tell you how to make more money with Adsense. In order to Boost up your earnings you must have to take care about the Adsense policies. There are simple fundamentals to monetize your blog with the Adsense. Below is the list of the such a points that you have to keep in mind in order to boost up the earnings. This is the very first point that you have to keep in mind that your blog is using the specific fonts. Never use the 'Arial' font for the blog. Choose the font-size in between 14-16px, line-height 1.5em-1.6em and character per line 60-90. This will give a rest to the eyes of the reader and they will stick to your blog. Here is the some of the best Google fonts that you can choose : Open sans, Droid Sans, Droid Serif, Lato and Ubuntu. Let the readers be fall in love with your blog rather than get frustrated. use the sidebar wisely and do not add too much Ads and widgets to the sidebar which are not necessary. It will also reduce the webpage loading time and more ever it will be more better for a Readers. As per the name suggest Do Not Disturb (DND) means do not add in between the posts.which will create a negative impression of your blog and you may get drop in returning visitors. Make your Posts ads free and use the Internal links wisely instead of Ads. In stead of putting the ads in between the content of post. Use them in between the posts. Because the place in between the posts is the one of the high sensitive area where users attract. 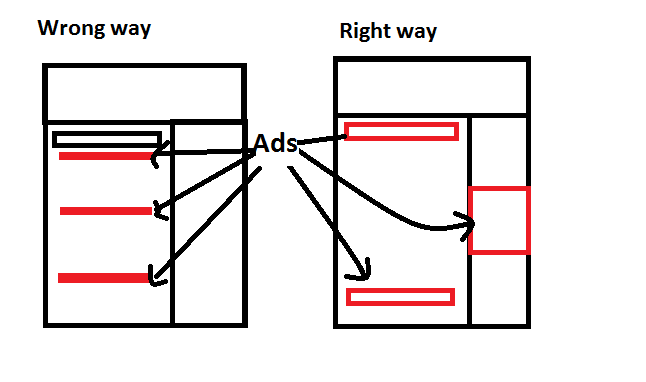 Change the locations of Adsense Ads Regularly. Which will create a positive impression of your blog among the readers and it will look like a update. This will help you to increase the Adsense CTR which leads to the increase in earnings. This a very nice trick that you can use to boost up the Adsense earnings. 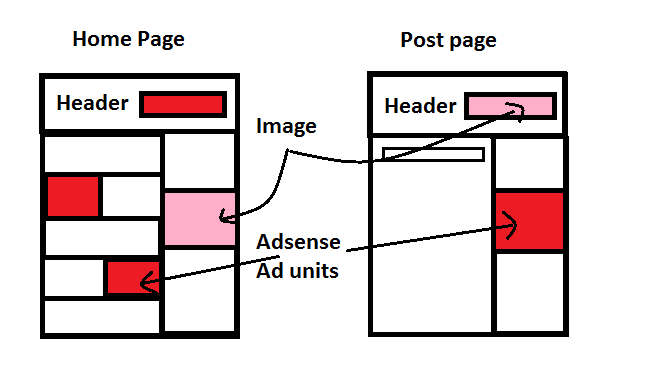 Change the location of Adsense ads with the blogs links.what you have to do is, Animate the image with a on hover effect using the CSS-3 on the homepage and put the Adsense in place of that image under the post-page. It will increase the Chances of ad clicks which indirectly leads to rise in the revenue. Hope you will get like this Tips and Tricks to boost up the Adsense Income with a legal ways. I have personally tried this all instructions in my blog and my CTR has rise from 0.89 to above 2. Have a happy earnings. I'm having hard time putting adsense on my site, I don't know why. So I tried bidvertisement, but I don't like it. WOW. I can see blogtipsntricks is having some Google Adsense banners going on. This post is really helpful. I wish in the future I will get approved by GA and apply what I read in this post. Sure you will Get Good results. Because All this Steps are practically Performed by me and I got a rapid change in Adsense Income. @Aditya It is quite easy to deal with CSS you can see a live demo in my blog. thank you. Really enjoyed this article.Thanks for Info. After long long time i have read something about Adsense. As now a days people just have two topic to write on, content and blogging :) Good post. i like point 3. Because i often found sites that always disturb me with their pop up ads! Yes you're right pop up ads are really annoying. Thank you Deep and Deepak Bhanderi. Yes you are right. This is the one major Point to attract the Readers. I have two accounts in Google, one for mails , and one for AdSense .. Is this a risk ? Great post buddy! Keep up the good work! Many thanks for this nice share. i am going to apply Adsense for my site called www.quizvook.com please need some tips before Applying for Adsense.